Per a request elsewhere, I've drawn up what I use as my two-way cart switching station in Minecraft. 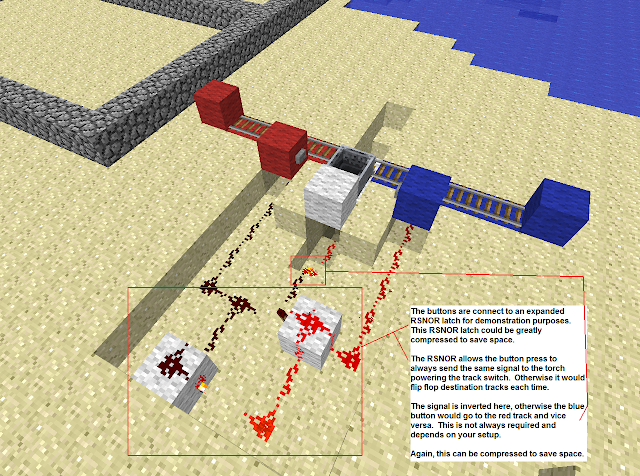 I use this switching station at almost every stop on our SMP server's minecart system. This allows the rider to either stay at the current destination or continue on. 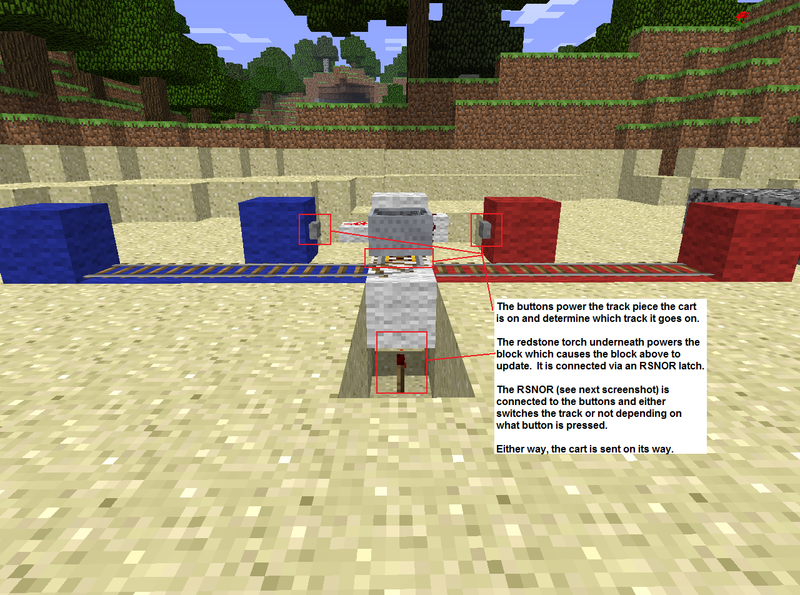 The following screenshots are of the basic design and principles for creating this. The RSNOR latch and track layouts can be easily adjusted to save space or add functionality. I also do not include an arrival track onto the switching point, but a track can be run to a couple blocks above and drop a cart (and rider) onto the powered track piece (or any other number of ways to put a cart into place).